It is most likely the foremost frustrating issue once you are utterly fastened out of iPhone. Forgetting passcode or touch ID not operating can lock or disable iOS devices. The sole approach to unlock disabled/locked iPhone is to reset your device. Simply follow the guide below (which conjointly work for disabled iPhone, iPad and iPod Touch) and learn what to do. Part 1: iOS Passcode Forgot, Here is What to Do? 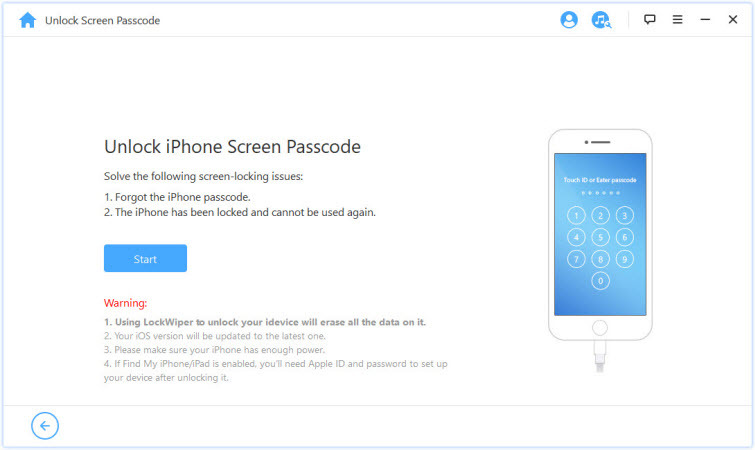 iMyFone LockWiper is the best solution for removing Apple ID and lock screen from iPhone, iPad or iPod touch. No tech skills required, it is a complete self-service program. You can access to your iPhone without password with only 3 simple steps needed. Unlock screen passcode without passcode even when it’s locked, disabled or broken. 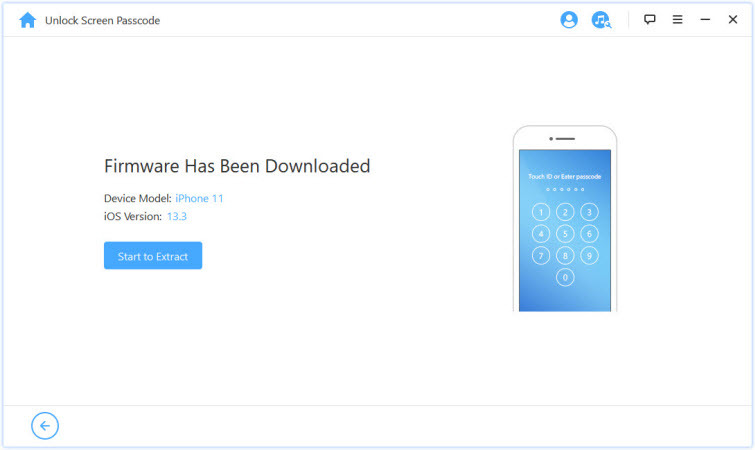 Remove Apple ID from your iPhone/iPad/iPod touch without password in few minutes. 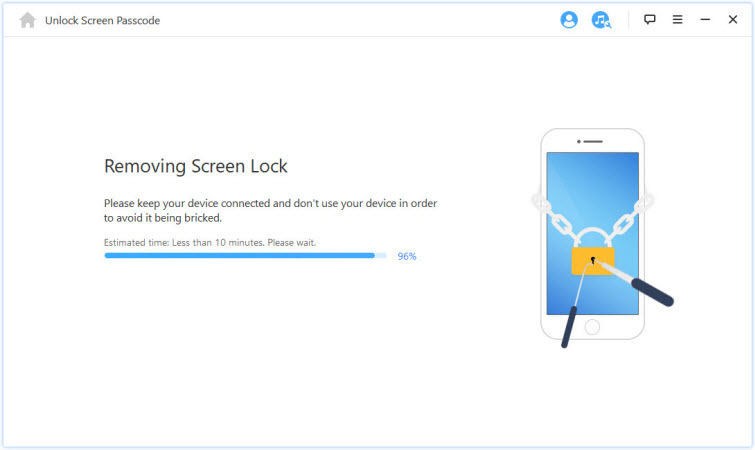 Remove all kinds of locks for iDevices including 4/6-digit passcode, Face ID and touch ID. Enables you to enjoy all iOS features after removing screen lock or Apple ID. 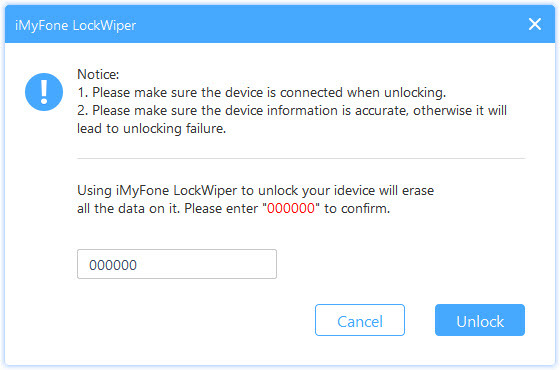 Step 1: Launch iMyFone LockWiper on your computer and choose “Unlock Screen Passcode” mode. 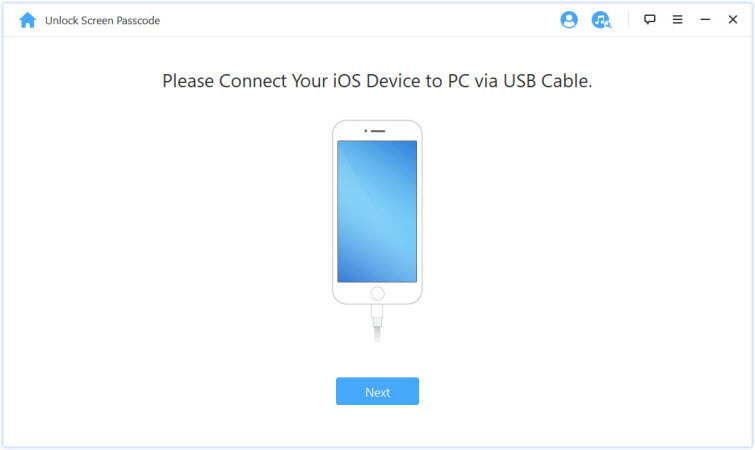 Connect your device to computer with a USB cable, then click “next”. Tap on “Start” to initiate the process. 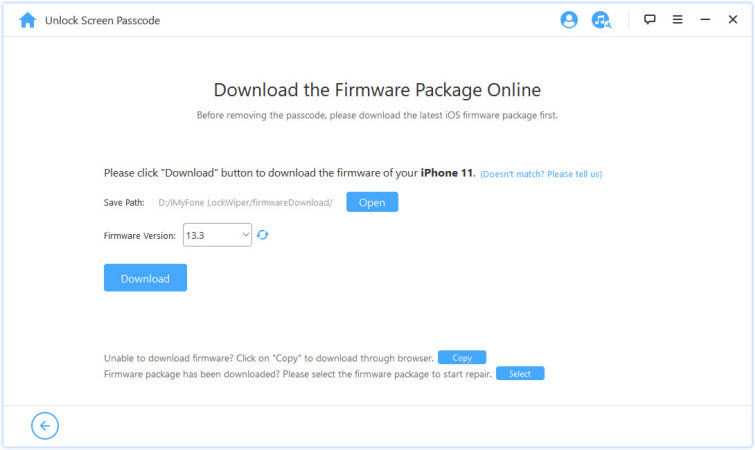 Step 2: Check if the auto-detected device is the same with your device model, and then click “Download” the firmware package. When the software has been downloaded, click “Start to Extract” and it will examine the software with your device. Step 3: Click on “Start Unlock” to begin the unlocking process. Enter “000000” into the box and click “Unlock” to confirm that you’re unlocking your device. Wait for a moment, your iPhone would be unlocked. 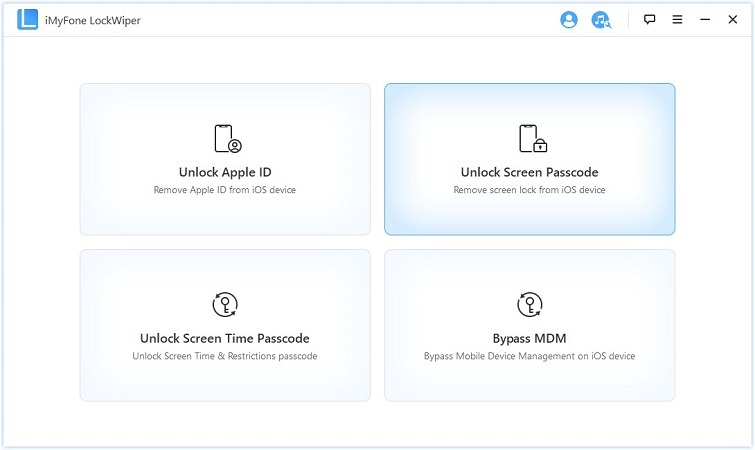 With the help of iMyFone LockWiper, you'll be able to access your iPhone and enjoy all its iOS features even when forgot passcode. Step 1: Launch iTunes on a computer that you've backed up your iPhone with iTunes. 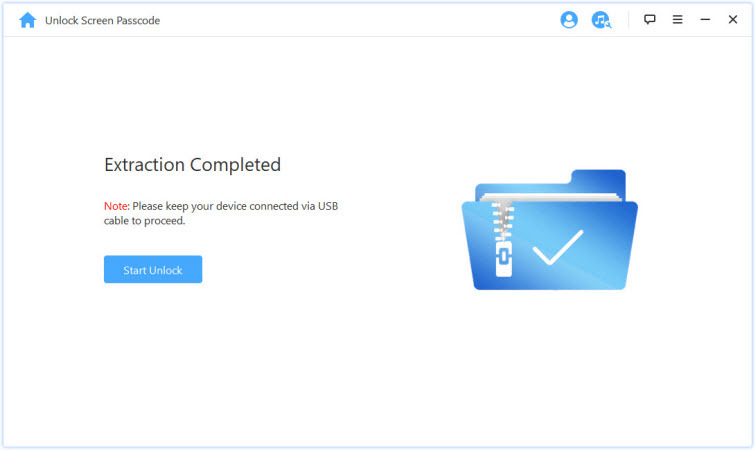 Step 2: Connect your iOS device to your computer with a USB cable, trust the computer if it asks you to do so (if entering passcode required, please turn to other solutions). Step 3: Click on the device icon when it appears in iTunes. Step 4: Click "Summary" button, select backup from this computer and then click on "Restore Backup". Step 5: Choose the latest backup to restore to iPhone, then click "Restore" and wait for the process to finish. Now you have access to your iPhone without passcode. Step 1: Login into iCloud account by entering iCloud ID and password. Step 2: Opt for “All Devices”. 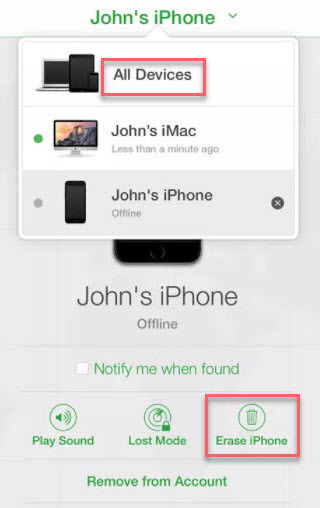 You’ll see your iPhone listed there if you’ve enabled “Find My iPhone” in your device. Step 3: Click on the “Erase” icon. All your data would be wiped out once you accept the warning. Your iPhone is set up as a new one now. 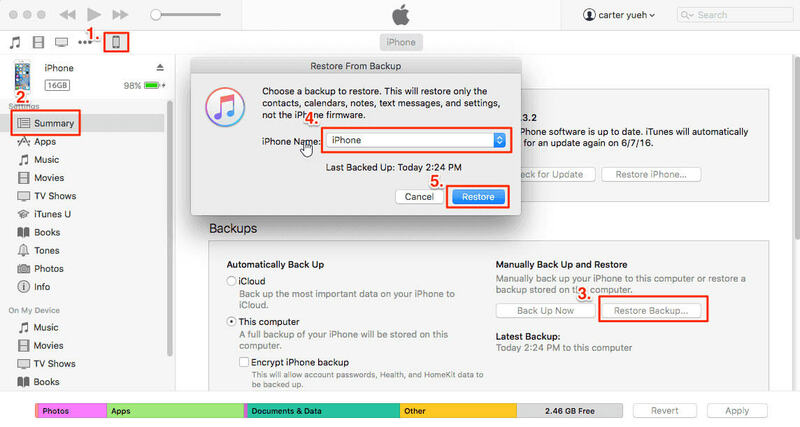 You can restore from a recent backup via iTunes or iCloud. If you have never synced your device with iTunes or enabled “Find My Phone”, just try to force your device into recovery mode. Step 1: Turn off your device and ensure that no cables are attached to it. On iPhone 8 & later: Press and quickly release "Volume up" button, then do the same operation on “Volume down” button. 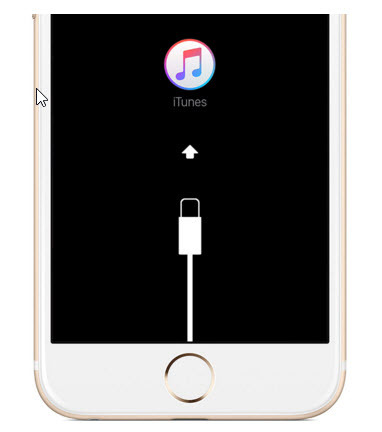 Press and hold the "Side" button until you see “Connect to iTunes” screen. On iPhone 7/7 Plus: Press and hold the “Side” and “Volume Down” buttons simultaneously. Keep holding them until you see “Connect to iTunes” screen. On iPhone 6s & earlier models: Press and hold both the “Home” and the “Top” (or “Side”) buttons at the same time. Keep holding them until you see “Connect to iTunes” screen. 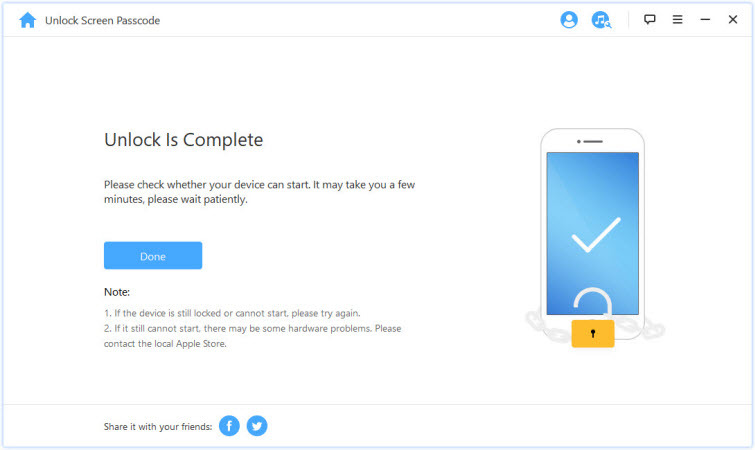 Step 3: Connect your iOS device to computer. Step 4: Click “restore” when you see option to restore or update on the iTunes screen. When the process finishes, all data would be wiped out from your phone including forgotten iOS passcode. A passcode is set on iOS device to help protecting your important information and data. It is important to every iPhone user. Apple notes the following if one forgot passcode: If you repeatedly enter the wrong passcode, your iPhone will be disabled for long intervals before you can try again. After too many unsuccessful attempts, you won’t be able to try again until you connect it to the computer with which you last synced it. Keep in mind that do not forget your iOS device passcode. We’ll offer some tips below on not forgetting passode, hopefully it does help you. An iOS passcode is a four-digit or six-digit PIN which can add security feature inside the app. A passcode can include numbers, letters, and special characters. You can set a passcode through Settings > General > Passcode Lock. If it is often the case you forgot iOS passcode, just choose a passcode that is easy to remember for long term. At most, you should go through different kind of emergency iPhone recovery only once. After that, you need to choose a passcode that is easier for you to remember, while still being difficult for anyone else to guess. And if you weren’t or aren’t making backups of your iPhone, you now have no excuse to continue your negligent behavior. Back it up! What can you do if you forgot iOS passcode? Here the solutions listed above will be helpful to you. iOS passcode is important to those who use iDevices. Do not forget it. If you can’t remember it well, try to set a passcode that is easy to remember or just don’t hesitate to back it up.